Another day, another fuzzy sweater. If you saw my post last week, you know I’m currently obsessed with fuzzy sweaters. 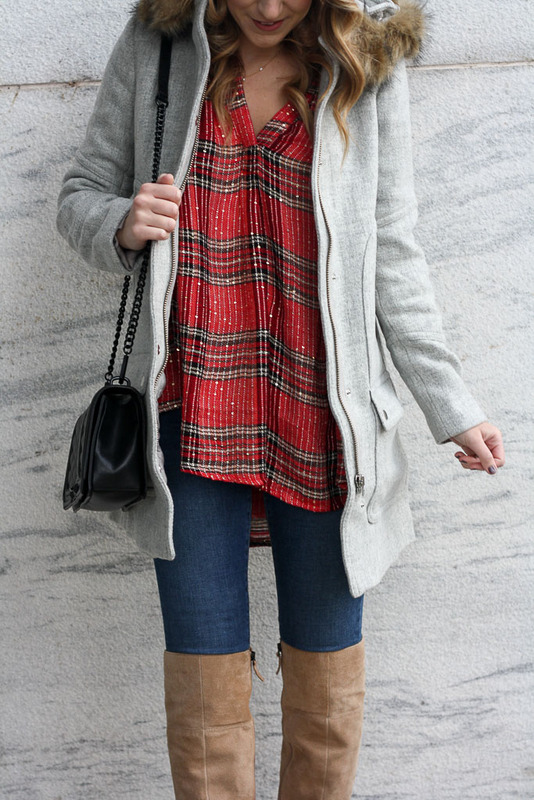 It’s such a feminine way to stay cozy when the temperature drops! The moment I saw this blush option, I knew I had to add it to my winter wardrobe, and let me tell you, I am SO glad that I did! This sweater, appropriately named the Dream sweater, is just about the softest thing I have ever worn. I love a good blush piece, and this one is even prettier in person (it also comes in a gorgeous powder blue and chartreuse!). 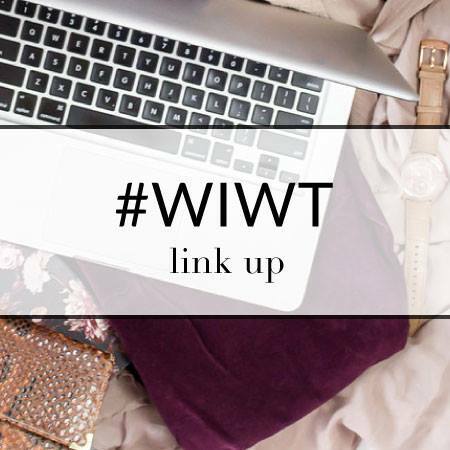 It’s a versatile piece and I’ve already gotten my fair share of wear out of it, pairing it with everything from jeans, overalls, skirts and knotted over dresses. Have you added a fuzzy sweater to your wardrobe this winter? My Cyber Week sales came in and I’ve been wearing the few pieces I got NON-STOP! One of my favorite sale picks? 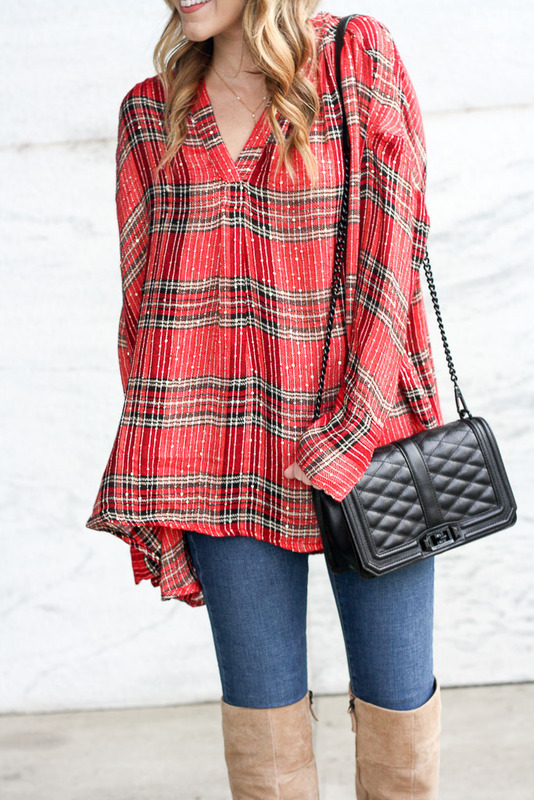 This plaid top in the most festive shade of red that is perfect for the holidays! 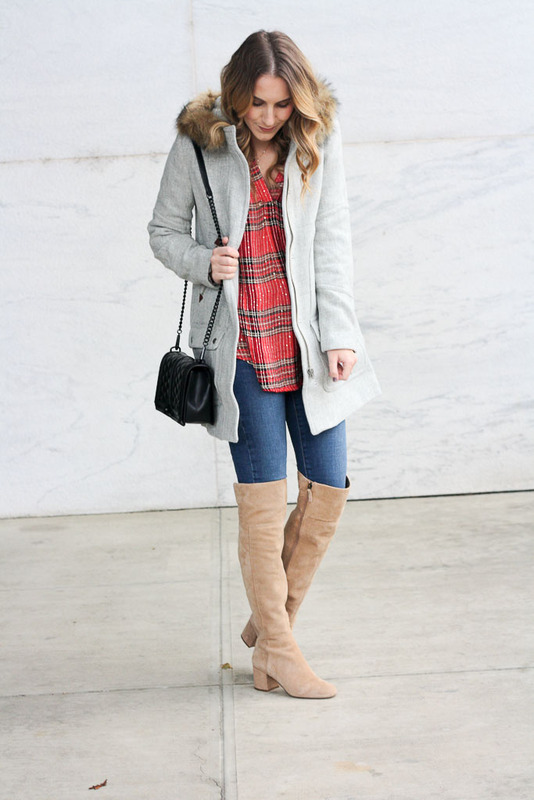 I can’t wait to style this cutie multiple ways this holiday season! The best part about it? The subtle sequins sewn throughout that give it an extra touch of holiday charm! This piece is easy to dress up or down and would be great for a holiday party! Style it with a skirt and heels for a more dressed up look! BONUS…It’s currently on sale!! Another one of my favorite sale purchases? This parka! I’ve had my eye on this one for YEARS and finally decided to purchase over Cyber weekend and I am so glad I did! 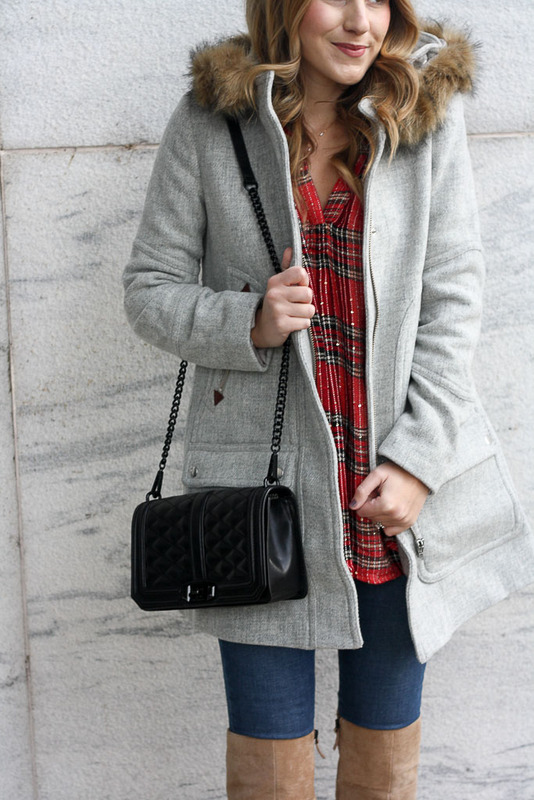 This coat is so warm and I love the length! It comes in a variety of colors, but I fell in love with this soft grey! This would be a great piece to add to your own holiday wish list! It’s a high quality piece that you will be sure to wear year after year!